Some of the most popular games out there - Cut the Rope, Shadowgun and Jetpack Joyride - just got updated with plenty of new features, adding to the fun. First, Angry Birds Space, released on both iOS and Android, got a free new episode - Fry Me to the Moon - yesterday. The update for Cut the Rope has only arrived on iOS at the moment, but it should hit Android in the coming days so stay tuned. Award-winning Jetpack Joyride also got bumped up to a newer version with plenty of new gadgets. Those include Coin Magnet, for example, that attracts coins so you can gather them easily and Gravity Belt that lets you change gravity. Finally, X-Ray Specs gives you a look at power-ups before you collect them is demonstrated on the video below. Finally, Shadowgun, one of the best shooters for iOS, got updated to support the Retina display on the new iPad, so we’d definitely take it for a spin with its new eye candy. Hit the source links below to get the games. 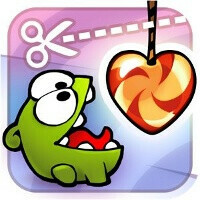 The update for Cut the Rope has already arrived on Android.